Gifts from the Pirates: "A well-spent day brings happy sleep"
"A well-spent day brings happy sleep"
It's got to that time of year again where the house just seems to be really cold so were having to blast the heating. It's blankets on the sofa and were having to wear socks more often (which i don't really like doing of an evening). The worst part about the cold is worrying about the boys as both of them seem to have a problem with keeping the duvets on themselves, were always going in and covering them up. Tonight i had to pop to Asda to get some bits as we were running low on the essentials and i had a mooch around the toy section as i always do but there wasn't much. 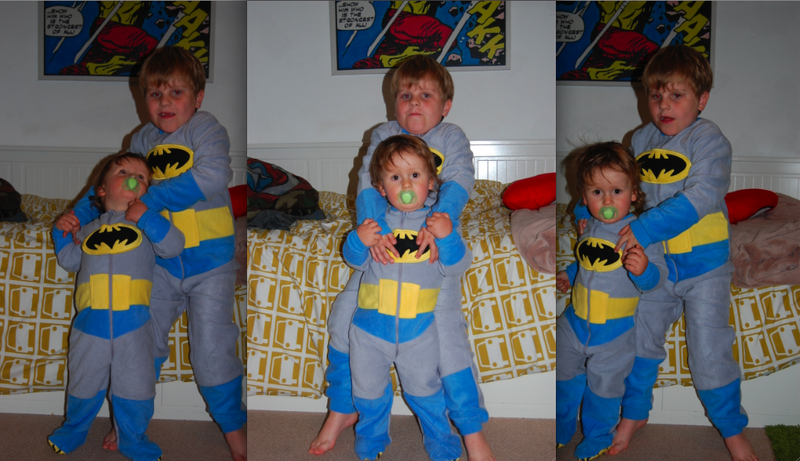 On my way out i walked past the clothes and noticed some great fleece sleep suits for the boys which i had to get. We had a Spider-man one last year for Seth and he actually wanted to wear it at night which was great so fingers crossed these will stay on the boys as the weather gets colder, although Opeie has already had his off as i think the feet are irritating him (i don't really like having my feet covered either). It's a shame they didn't have adults ones to match as that would have been a great photo opportunity for me and Mrs M too. Well they certainly look like a couple of well dressed super heroes and toasty too. As you can see their a pair of posers which is what you want when writing a blog about your children. Ive just gotta keep an eye on these mini vigilante's now as we don't want them sneaking out at night fighting crime. "Holy priceless collection of Etruscan snoods! " "I think I'm done with the sofa"
"We build too many walls and not enough bridges." "The monster was the best friend I ever had"